The measurement principle of silicmolybclenumblue method as following, in an acidic environment, the silica can react with ammonium molybdate in the water to obtain yellow soluble silicon molybdenum heteropolyacid complexes and then to add 1,2,4-amino acid naphthol can reduce to spectrophotometry. Within a certain range, the silica is proportional to the color of solution. To measure its absorbance and to analyze silicon standard curve can measure the concentration of silica. Silica content for boiler water quality monitoring is an important indicator, because the silicon compound dissolved in water, after repeated heating will generate zeolite (5CaO • 5SiO2 • H2O) or silicon lime in the filter and the heat transfer surface, which will influence boiler running. Thus, in order to avoid silica content too high to affect equipment operation should to measure the silica content of boiler. Silicon molybdenum blue spectrophotometric method is commonly used method for detecting silica content. In the higher acidity (pH 1.0 to 1.8), metasilicic acid reacted with molybdic acid can obtain β-type silicon molybdenum heteropoly acid with yellow color. 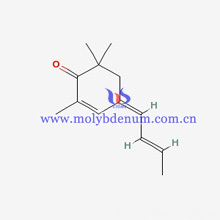 Silicon molybdenum heteropoly acid in reducing capacity is different with hydrochloric acid and other acid solution and the difference in the, so to use appropriate reducing agent can reduce yellow silicon molybdenum heteropolyacid to blue molybdenum silicon heteropolyacid, and to further accuracy detection.